2. Can you legally jump off a Bremerton bridge? 4. Which pot store brings in the most cash in Kitsap? Please let me know what you think! Suggestions welcomed at josh.farley@kitsapsun.com. Hope you enjoy our inaugural edition. Please write me with questions or concerns. I’m not really sure how someone who steals a child’s bike can sleep at night. But that’s exactly what happened to Alexandra Funari, a 10-year-old student at View Ridge Elementary School. Last Thursday, her mother, Bonnie Flacco, came home to find someone had ripped off Alexandra’s bicycle from right beside their home off East 31st Street. Flacco said that several kids’ bikes have gone missing in the neighborhood recently, something she too finds unconscionable. “It’s sad that someone would go around the neighborhood and steal children’s toys,” she said. Bike theft is all too common in Kitsap County and across the country. In Bremerton alone, 69 bikes have been reported stolen between Jan. 1, 2013 and today. Bremerton Police Chief Steve Strachan said the best thing you can do, other than make sure the bike is locked up, is get the serial number off of it for safe keeping and take a picture. And, if it is stolen, be sure to report it to police. Alexandra’s bike, unfortunately, remains missing. But there is a silver lining. Bremerton resident Joanne Jogerst saw a post from Flacco on a Facebook page. 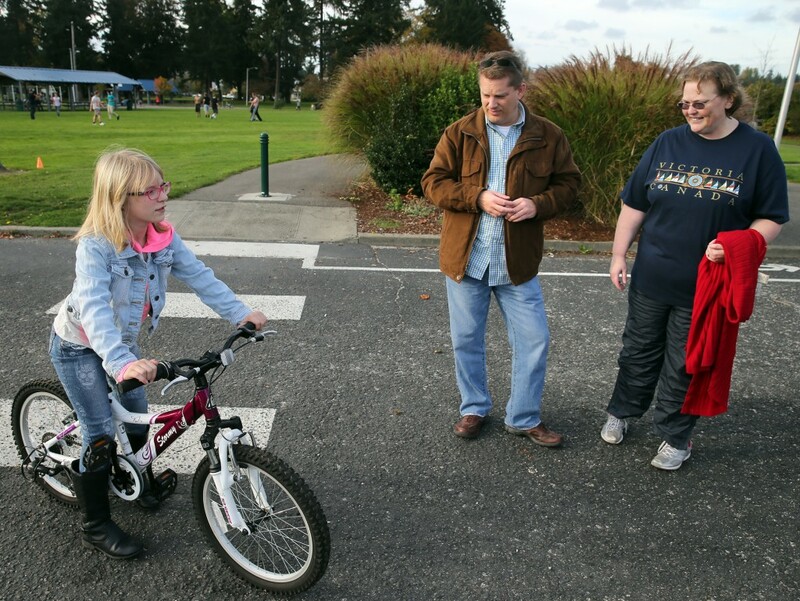 She knew a man named Thom Kalmbach, a Renton resident who grew up in Bremerton — and that he might have a bike. Kalmbach contacted me and said his 13-year-old daughter had indeed outgrown her bike and he was willing to part ways with it. I arranged a meeting at Evergreen-Rotary Park this afternoon for the parties to meet. Then, Kalmbach wheeled over a white and purple bike with thick mountain bike tires. Alexandra’s eyes lit up. 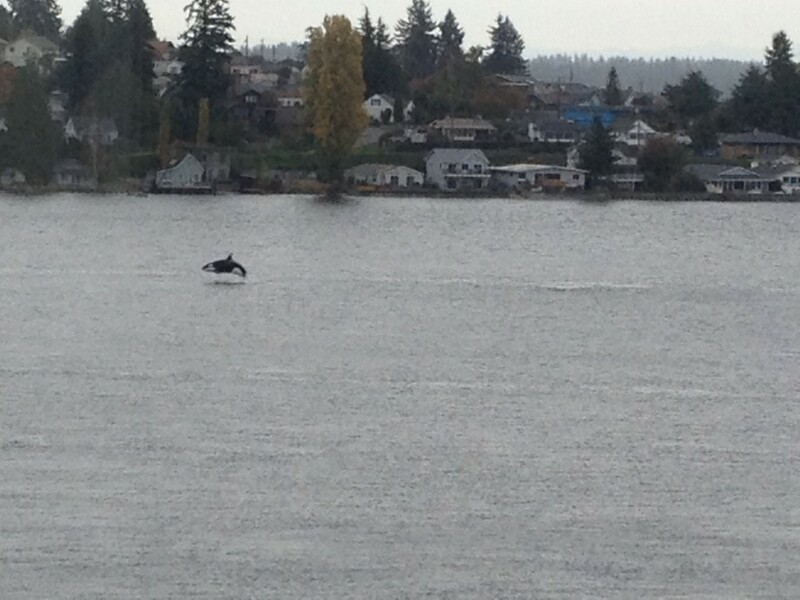 She quickly got on the saddle and began riding it around the Evergreen-Rotary Park boat launch parking lot. Flacco said they’ll make sure to get a lock to deter thieves in the future. Here in Bremerton, there’s good reason to celebrate as the school year draws to a close. 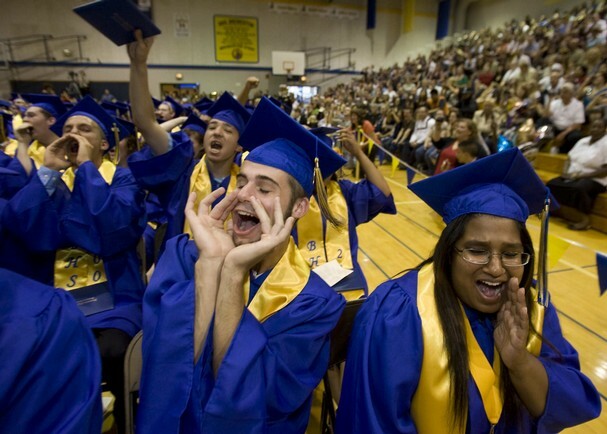 Bremerton High School‘s class of 2014, which held its official graduation festivities Friday, has been hailed as one of the school’s strongest ever academically. “This is a very strong class with a long list of accomplishments,” said Chris Swanson, a career and college counselor at the high school. The numbers speak for themselves: of the 250 who graduated, 81 got at least one scholarship. Those scholarships total $801,528 toward their college educations in one year alone. Over four years, those scholarships will fund $2.6 million for Bremerton High School’s graduates. I know I’m keeping a close eye on education trends in Bremerton. Here’s another one worth watching: this year’s Kindergarten class in the Bremerton School District is about 60 students bigger than the last. Is it a bubble, or a sign of a growing population of families in the city? Time will tell.